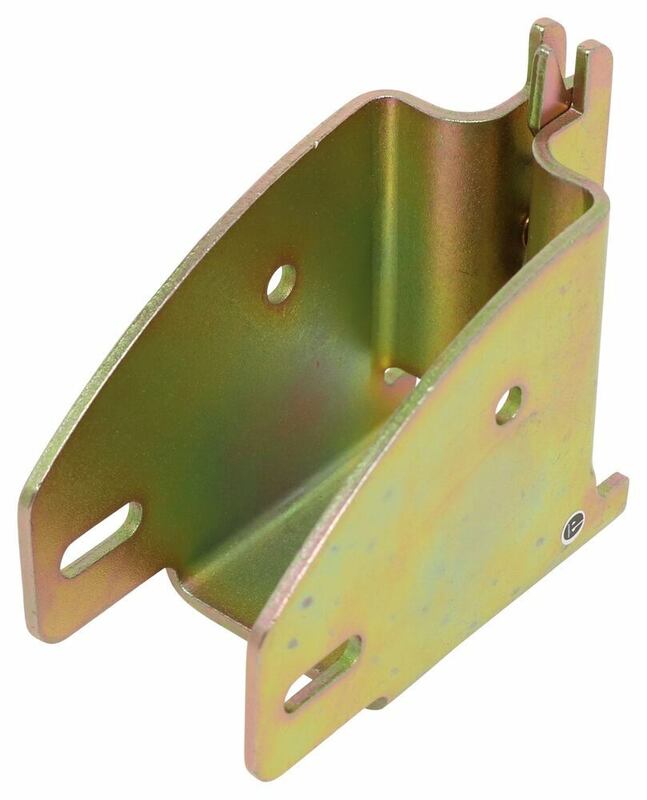 Call 800-298-8924 to order CargoSmart e track part number 348892 or order online at etrailer.com. Free expert support on all CargoSmart products. 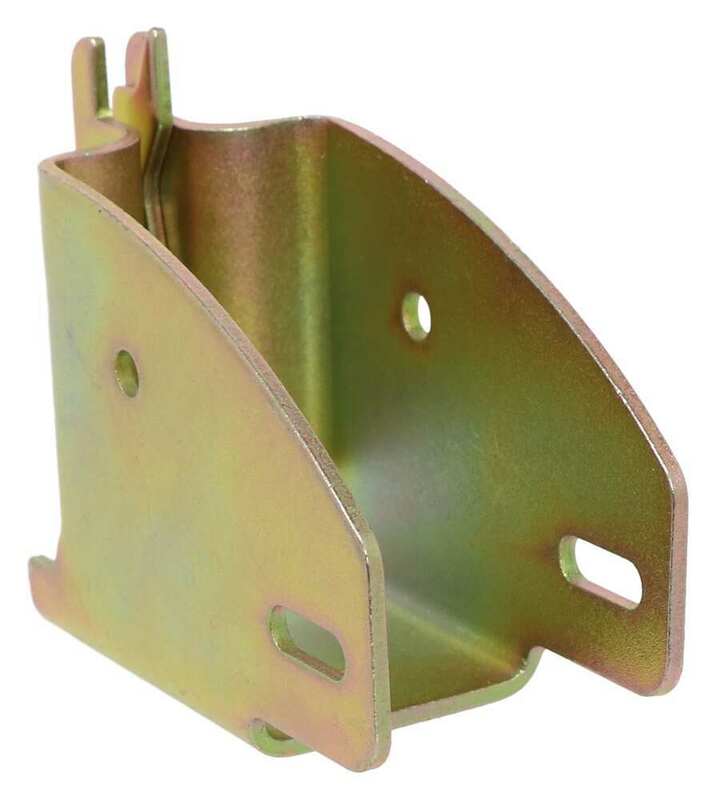 Guaranteed Lowest Price and Fastest Shipping for CargoSmart Board Holder for E-Track and X-Track Systems - Qty 1. E Track reviews from real customers. 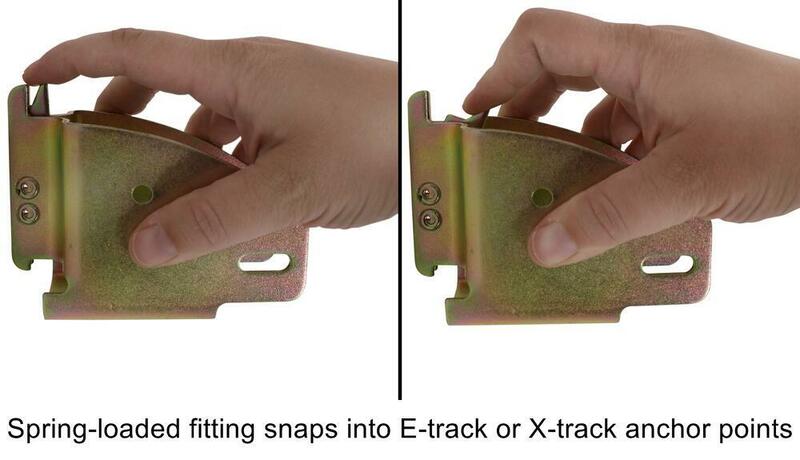 Limit cargo movement with this stop plate designed for your E-track system (sold separately). 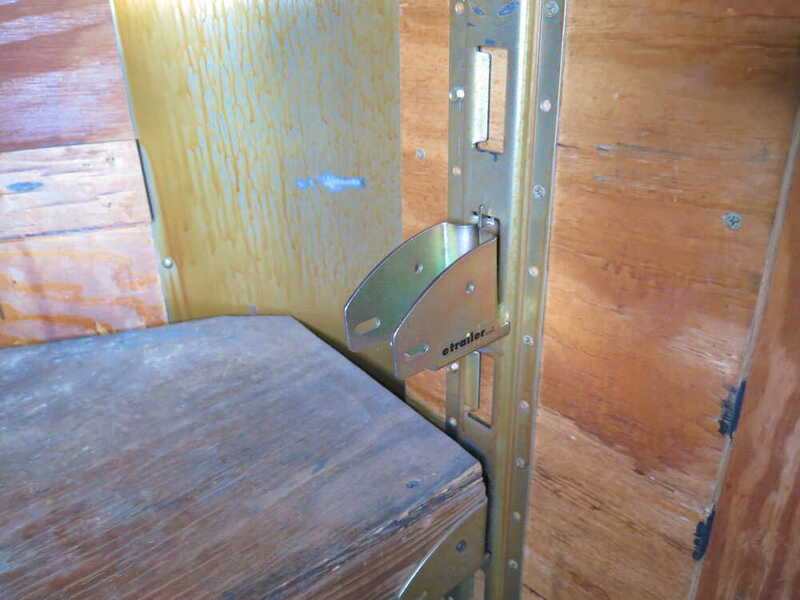 Plate helps keep objects in place for a more safe and organized work area. 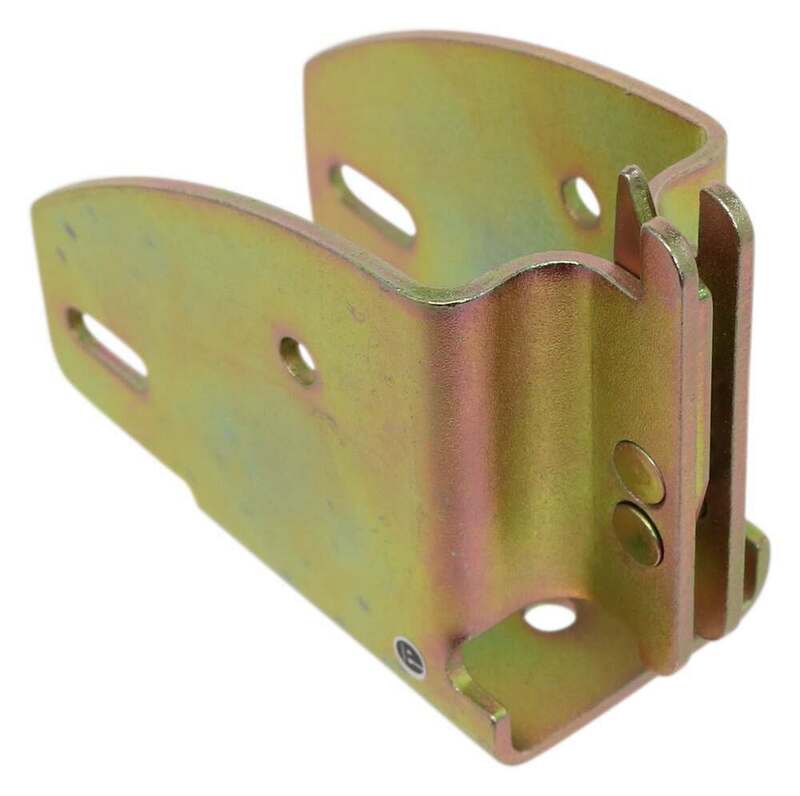 Great for use in your trailer, shop, or garage. Speaker 1: Today we're taking a look at the CargoSmart board holder. 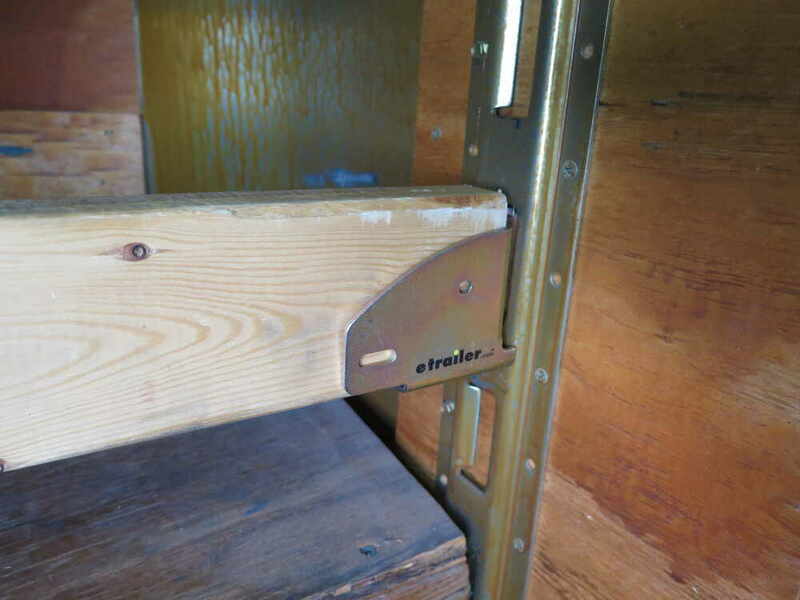 This holder snaps into an E-track or X-track to secure items to avoid shifting in your trailer. 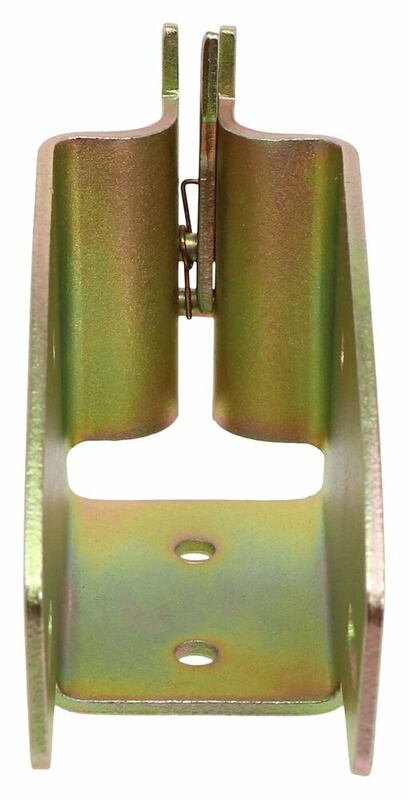 This can be used to create an angled or straight shoring beam. 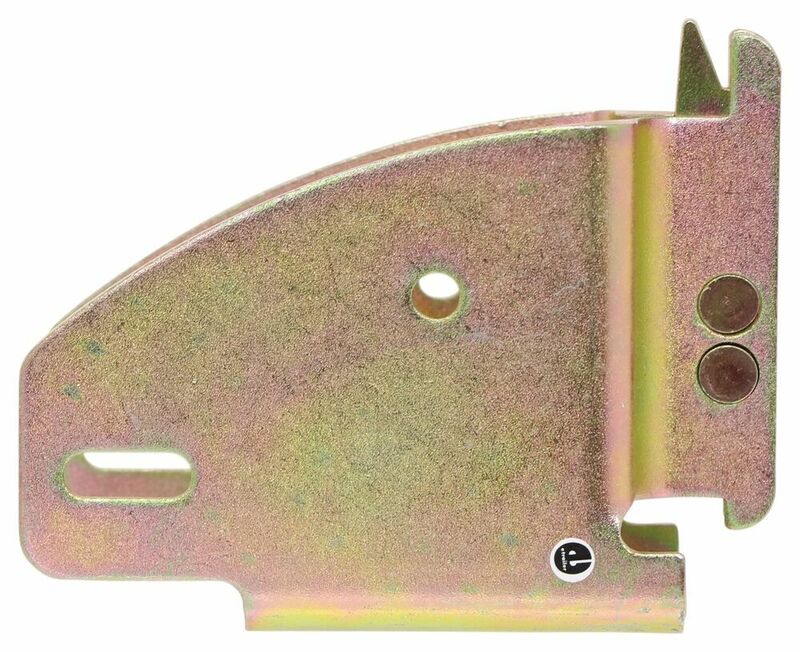 It features this spring-loaded fitting that snaps into your E-track or X-track anchor point, and this can be easily moved from one slot to another. Your wood board's not included.The unit is made from a durable steel construction with zinc finishing to resist rust and corrosion. 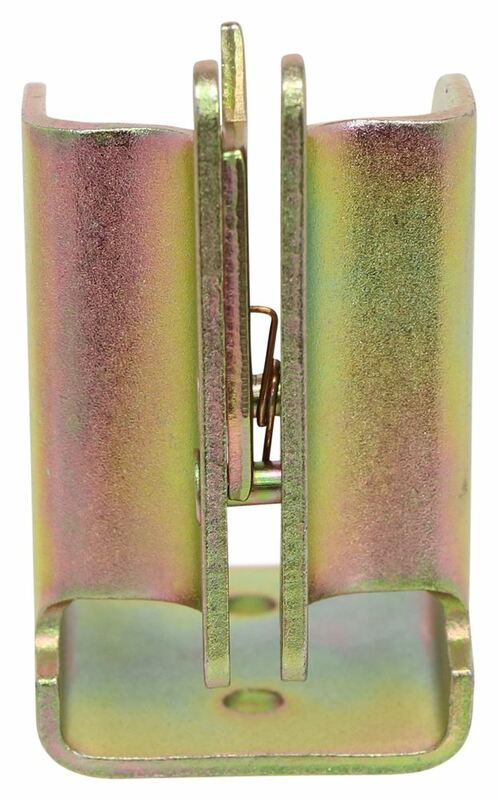 Also I want to point out that the unit has multiple holes on it. 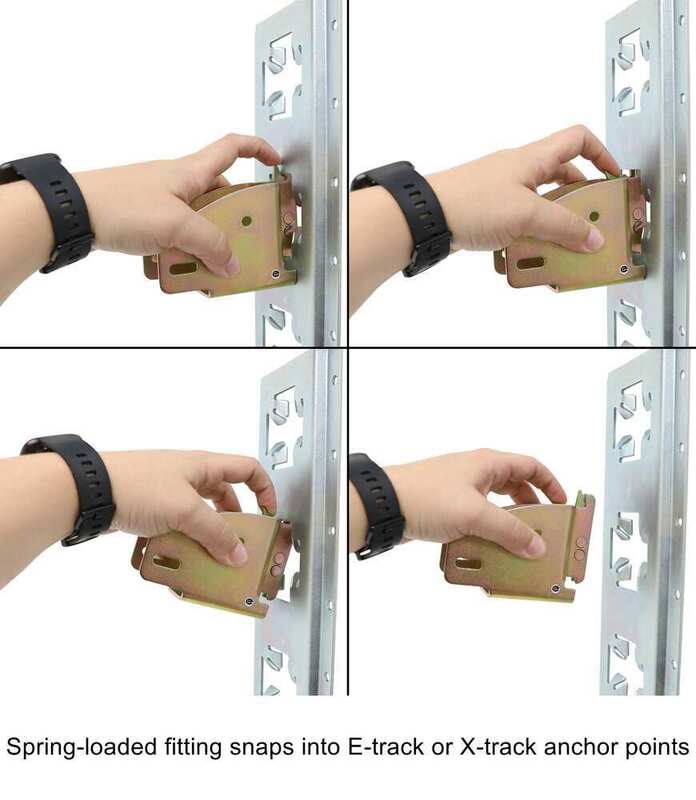 That way you can add screws for better attachment to a board.We're going to take some measurements, and I'll show you how it fits onto an x-track system. 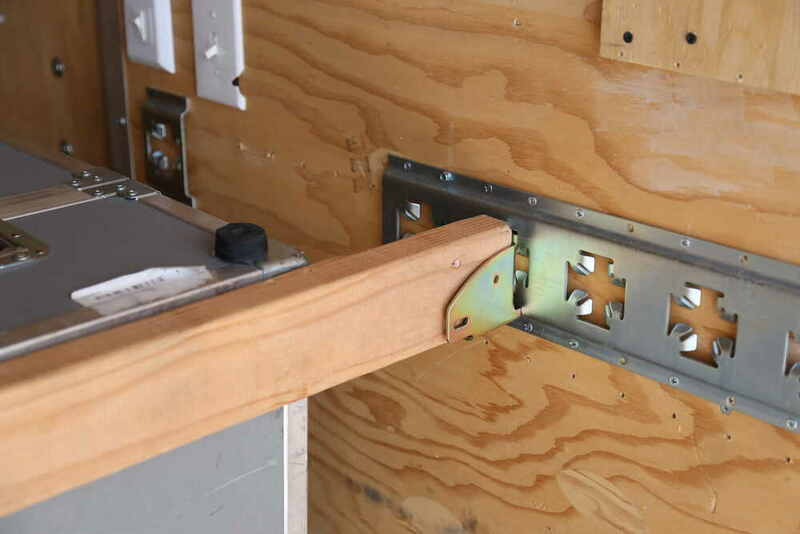 The overall width measurement, outer edge to outer edge, is 2 inches wide. The overall height, kind of the main portion of the housing, measures 2 and 15/16 inches tall. And then I did take a measurement of the overall depth with it installed on an x-track system. From the actual tracking to the end of the unit gives us a depth of 3 and 3/4 inches. 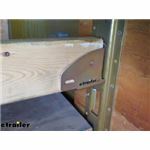 Inside edge to inside edge is 1 and 3/4 inches wide, which tells us this is designed to accept a standard 2-by board.That's going to do it for today's look at the CargoSmart board holder.